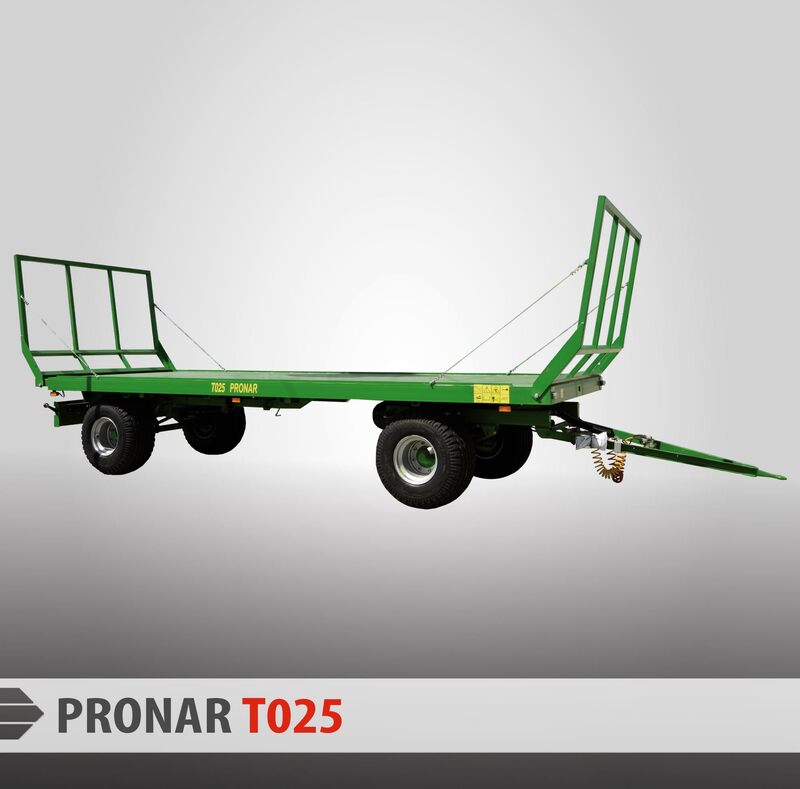 Trailer PRONAR T025 - Pronar Sp. z o.o. PRONAR T025 bale transportation trailer – reliable, failure-free and universal. Perform excellently when transporting cargo volume requiring large, streight surfaces, mainly to transporting straw or hay/silage bales, pallets and euro-pallets. Low bed construction with flat edges facilitates loading and protect film-wrapped bales against damaging them. This option significantly increases the functionality of the trailer. Extended rear frame adjusting it to the load parameters. Chemically hardened and UV-resistant painting materials provides protection against corrosion. Stable and strong parabolic spring suspension provides longer service life. Light, stable construction and optimal floor thickness . The height of the ladders allows to load up two layers of bales, low construction ensures easier loading. Width of load platform adapted to euro-pallets transport. Rear under run protection in line with EU directives, homologated rear hitches.